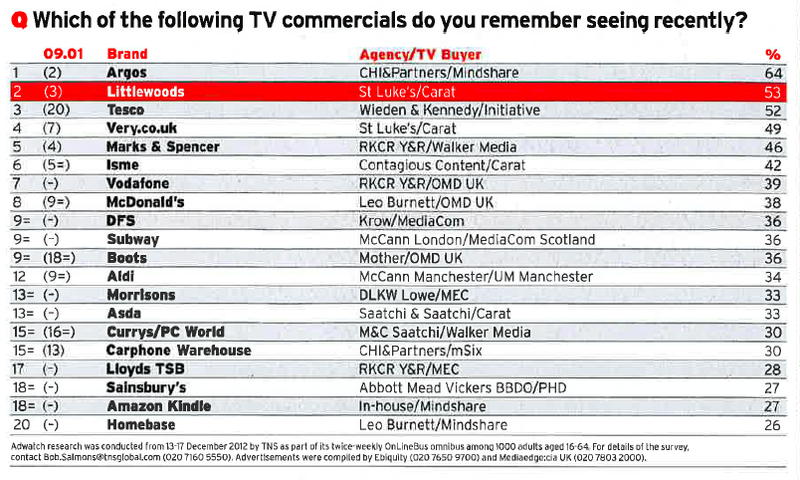 St Luke's Blog: Littlewoods and Very top the Adwatch charts with 2nd and 4th spots! 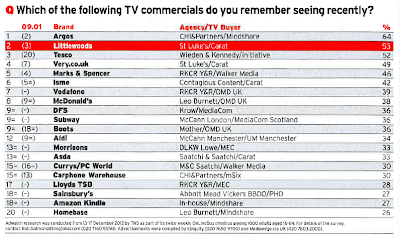 Littlewoods and Very top the Adwatch charts with 2nd and 4th spots! 'Marketing' magazine have just released this week's Adwatch and we are delighted that both Very and Littlewoods made it to the top 5. They paid special attention to the Littlewoods ad writing that "the ad oozed old-fashioned charm" and crediting the brand as being "one of the most innovative '21st Century Businesses'". Summer 2012: Gone, but not forgotten.